It's with great sadness that we've received news of Tony Judt's death. 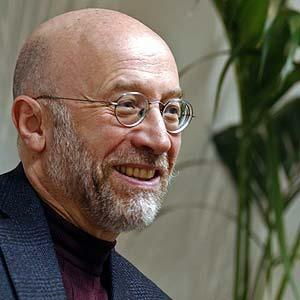 This is, without a doubt, a loss of monumental scale for both the world of ideas and the fight for global social justice.Tony Judt was one of the most emnient historians of his generation. His status as master chronicler of post-war europe (Notably with his book, Postwar: A History of Europe since 1945, published in 2005) was well deserved and will surely continue to be appreciated for generations to come. It’s with great sadness that we’ve received news of Tony Judt’s death. This is, without a doubt, a loss of monumental scale for both the world of ideas and the fight for global social justice. Tony Judt was one of the most eminent historians of his generation. His status as master chronicler of post-war europe (Notably with his book, Postwar: A History of Europe since 1945, published in 2005) was well deserved and will surely continue to be appreciated for generations to come. In 2008, Tony Judt was diagnosed with ALS (Amyotrophic lateral sclerosis, a form of motor neuron disease) and very quickly lost any meaninigful use of his body. This has been a harsh twist of destiny for a man reputed for his hunger for life and his exhuberent energy in purusing his various interests, projects and causes. His last book, ill fares the land, published earlier this year, is a fitting testament for the new generation of progressive-minded young activists to take the struggle for justice and equality forward. Tony Judt, historian, man of letters, activist, humanist: we salute his memory and his achievements. RIP.